Classic Film and TV Café: Five Babes Who Coulda Been Stars! Timing and looks are almost as important as talent when it comes to becoming a star of the silver screen. Editing room floors have been littered for years with actors that may have had the talent--and definitely had the looks--to earn star status. But alas, their timing was wrong for one reason or another. Today, we pay tribute to five beautiful actresses who never achieved headline status. Some of them had solid careers; others made just a handful of films. And, yes, we will devote a similar post to five handsome hunks later this week. Helen Gilbert. Except for an early lead role opposite Robert Young and Charles Coburn in the horse film Florian, this blonde beauty spent her career in "B" films. She logged appearances in the Andy Hardy, Dr. Kildare, and Falcon series. 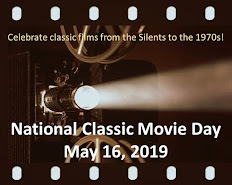 Her most memorable role was as the femme fatale in The Falcon Takes Over, a solid revamped version of Raymond Chandler's Philip Marlowe mystery Farewell, My Lovely. She acted sporadically in the 1940s before moving to television in the 1950s. She was married six times! Johnny Stompanato was one of her husbands--if only for six months. A bodyguard for gangster Mickey Cohen, Stompanato later dated Lana Turner, whose daughter Cheryl Crane stabbed and killed him after she claimed Stompanato had attacked her mother. Susan Hart. American International Pictures was grooming this stunning brunette for bigger roles--until she retired from acting a few years after marrying the company's co-founder. Susan Hart appeared in several Beach Party movies as one of "the gang" and played the title character in The Ghost in the Invisible Bikini. None of these films did much for her career. She fared better as Tab Hunter's love interest in Ride the Wild Surf, a Beach Party-like flick released by Columbia Pictures. She also showed her comedy chops as a robot created by mad scientist Vincent Price in the wacky Dr. Goldfoot and the Bikini Machine. In 1964, she married producer James H. Nicholson; she was 24, he was 49. When he died in 1972, she helped complete his films Dirty Mary, Crazy Larry and The Legend of Hell House. Susan Hart spent her later years helping to raise funds for the UCLA Medical Center. She owns the rights to several of her husband's films, which have never been released on video--much to the dismay of many "B" movie fans. Diane McBain. Signed by Warner Bros. while still a teen, Diane McBain appeared to be on the fast track to stardom in 1960-61. First, she got a plum supporting role in the big-budget Richard Burton-Robert Ryan film Ice Palace. She followed that with a juicy part as a "bad girl" in Parrish and as the "poor white trash" heroine of Claudelle Inglish (both 1961). Concurrently, Warners cast her as a blonde-haired socialite opposite Troy Donahue (his Parrish co-star) in the lighthearted detective TV series Surfside 6. Although the TV series provided steady work, it may also have overexposed her. The once-promising actress soon became typecast as the flighty socialite or bad girl. She worked steadily as a television guest star for the next few decades and in occasional movies--but never appeared in another "A" picture. Ilaria Occhini. Unless you've seen 1962's Damon and Pythias, you've probably never heard of Ms. Occhini. She was one of several Italian beauties to appear opposite English-language co-stars in the 1950s and 1960s. Yet, while some of these actresses became international stars--such as Claudia Cardinale and Sylva Koscina--Ilaria Occhini did not. That's not to say she didn't have a successful film and television career in her own country, racking up 52 acting credits through 2012. Undoubtedly, the dubbing in Damon and Pythias made it hard for U.S. audiences to judge her thespian skills, but the camera certainly seemed to love her. Joanna Frank. Her career started with a splash with memorable appearances as Vartuhi in Elia Kazan's America, America (1963) and as the "bee woman" in the classic Outer Limits episode "Zzzzz." However, after a guest spot on The Fugitive, Joanna Frank limited her screen appearances and eventually left Hollywood in the late 1960s. 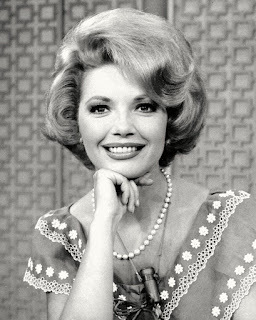 She appeared in occasional guest roles over the next two decades. Then, she returned to Tinseltown in 1986 to play a recurring role as Sheila Brackman on the hit TV series L.A. Law. Of course, L.A. Law was a family affair: her younger brother Steven Bochco co-created the show while she played the wife of Douglas Brackman--who was portrayed by real-life husband Alan Rachins. Still, many TV fans will always remember her as the dark-haired beauty from The Outer Limits. In a documentary on that show, Frank says the producers wanted the bee-turned-woman to be a strawberry blonde--but Frank insisted on the stylish dark-hair look. 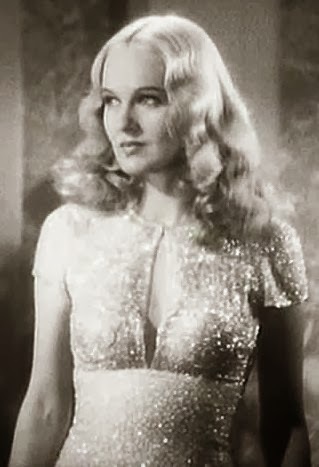 I'll second Helen Gilbert, who always reminded me of Veronica Lake. The Italian actress is pretty, but I'd never heard of her. I wondered about Joanna Frank, thanks for the update. I always thought Susan Hart was beautiful and looked like "the girl next door". I think she could have made more films had she chosen to do so. I love the photo you chose of Diane McBain because she does look quite mischievous. I really like "Parrish" and think she was quite good. My favorite on this list would have to be Joanna Frank who was unforgettable as the Bee Girl. Love Susan Hart. So glad you included her. I recently watched one of the Saint movies. It was filmed in England in the late 1930s. I think it was THE SAINT IN LONDON. Anyway, the leading lady in that one, Sally Gray, jumped right out of the screen to me. Loaded with personality, I found her very contemporary in her manners. She was also in THE SAINT'S VACATION, but I can't remember which one I saw her in. I hate old age. Anyway, I was surprised she didn't have a bigger career. I was really quite taken with her. Kevin, I remember Sally Gray very well. She co-starred in one of my all-time favorite mysteries, GREEN FOR DANGER. Great addition!